Welcome back to my blog page once again. 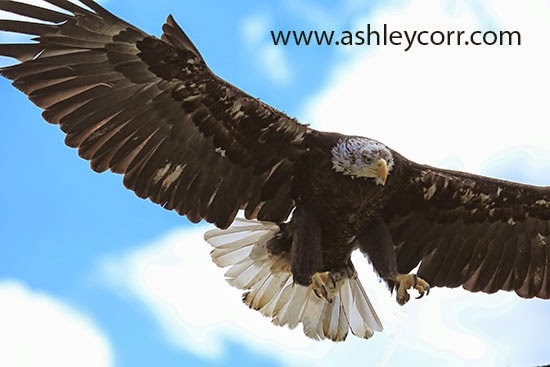 The juggling act between here, ashleycorr.com and Facebook continues. Blogging occasionally takes a back seat when priorities remain elsewhere, but that isn't to say it will die a slow death in the near future, far from it. My Facebook activity tends be nothing more than a photo upload with an accompanying line or two, which is a world away from the more in-depth write-up that generally appears here, and I don't want to lose sight of that, so blogging will continue and be an active part of my website indefinitely. Which brings me nicely on to todays offering. 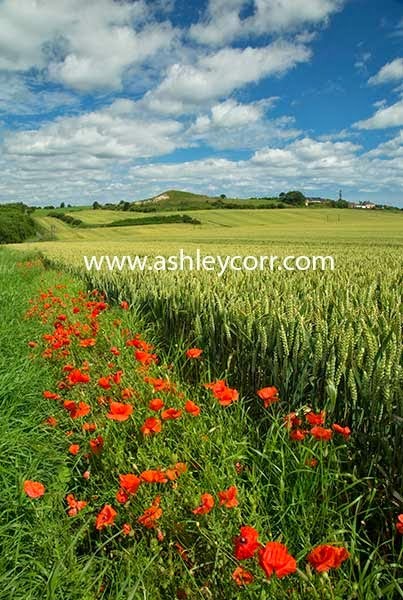 I've photographed some nice landscape scenes over the last month or so, all very local and with plenty of colour to show, so here is a selection of them, beginning with a rural poppy scene at Foxcover Lane, near Hastings Hill, Sunderland. 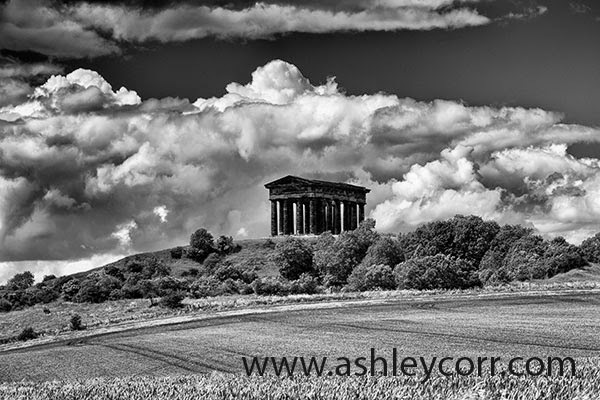 I noticed some nice broken cloud as I was passing, on the A19, and decided a quick stop off wouldn't do any harm, especially as my camera bag was in the boot of the car. The next shot (shown here) was taken in the wildlife garden at Souter Lighthouse, a National Trust property that lies on the North-East coast between Whitburn and Marsden. The garden is saturated with a variety of plants and flowers, such as Sunflower, Poppies, Daisies, Firethorn, Foxglove and Lavender. A designated path runs round the entire garden, offering many different angles to shoot from, which is ideal and avoids a free for all when the trampling visitors land. 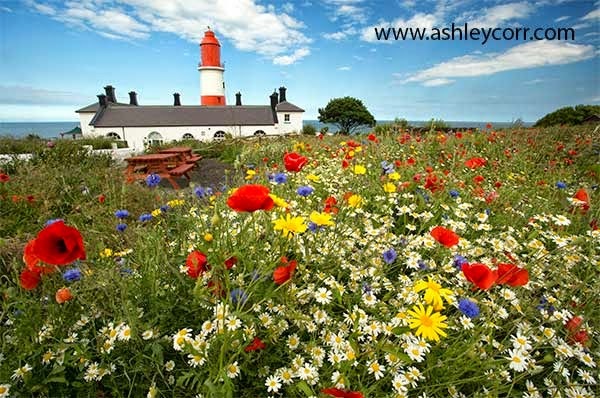 The lighthouse, with its red and white hoops, is an ideal backdrop when photographing the garden, and if you're tall enough you might just fit some North Sea into the frame too. I had the place to myself during my short 30 minute stay, which was also ideal - no waiting around for people to move out of shot. The garden is very well maintained, it has to be said. Across the way, in the vegetable garden, a one armed gardener was getting a right old sweat on, digging away during big temperatures. He seemed to be in his element, with his little radio for company, grafting away and looking far more dedicated than I ever could. Gardening isn't something I'm keen on! White shots, so until then, I'll catch up with ya later. Cheers! 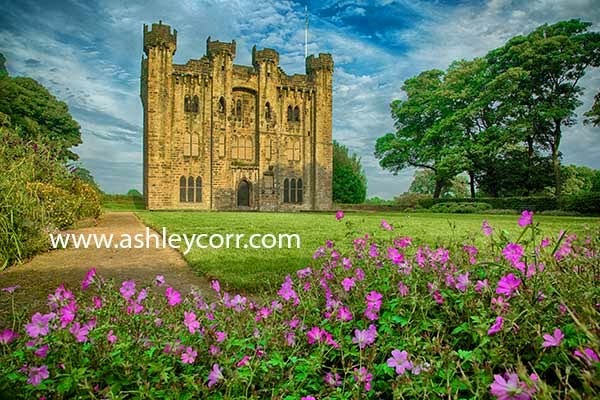 Here is a change of direction from the usual Landscape photography that I immerse myself in. It's back to Nature for the next two blog entries, as I focus on two recent trips in the field to photograph birds, both in the wild and captivity. Our annual trip to the Farne Islands off the Northumberland Coast was another opportunity to get up close to the thousands of nesting seabirds, but more of that later in the week, when I bring you shots breeding birds within the colonies, as well as birds in flight. 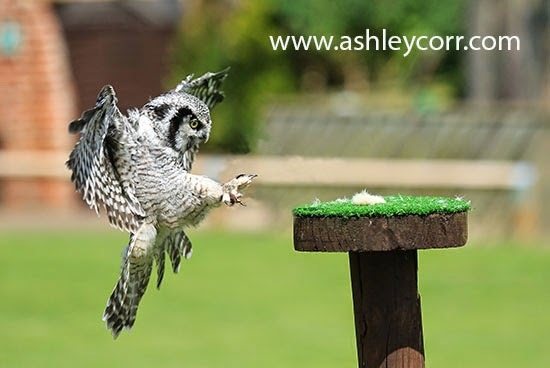 Today I will concentrate on last weekends visit to a bird of prey centre in North Yorkshire, at a place called Kirby Wiske, not too far from Thirsk. As the Tour De France was taking place not too far away from our location I expected plenty of traffic during our journey South, but luckily for us that wasn't the case and even the bird of prey centre was less than busy, so things worked out quite well on that score. We've visited four similar places within the last 18 months or so and this one is definitely our favourite of the bunch. 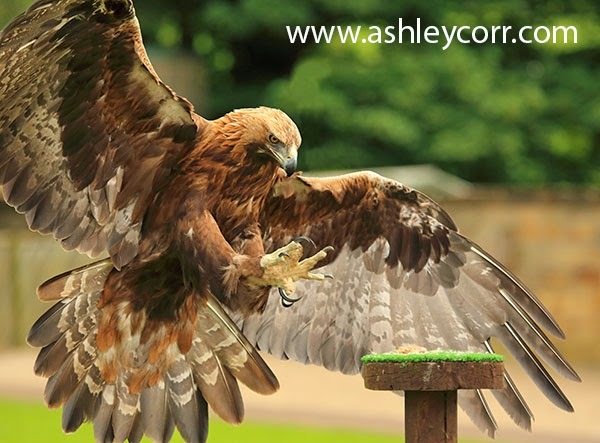 Unlike the others, Falconry UK has many birds on display outside of their usual enclosures, so photography opportunities are in abundance, with some of the smaller birds perched literally a five or six feet away from the perimeter fence. 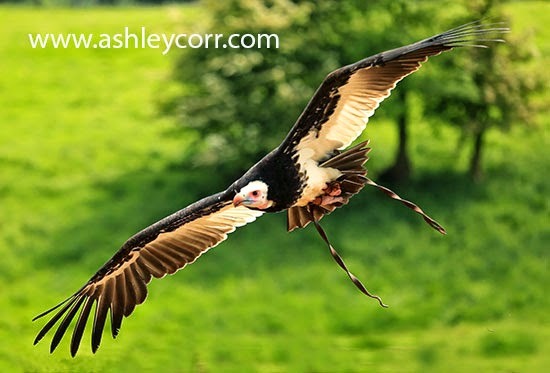 The largest of the birds, such as the Bald Eagle, Golden Eagle and Griffon Vulture are tethered at distance, although easily photographed with a 300-400mm telephoto lens. We watched two flying displays during our visit, with two different teams of birds, including a Golden Eagle, Bald Eagle, White-Headed Vulture, Northern Hawk Owl, Barn Owl and a Kestrel. Each bird flew between the perches in the arena, giving me an opportunity to photograph them in flight and the two Eagles spread their wings a little further by venturing out of the arena for short periods, before returning to their handlers. Each bird was different in its flying habits and behaviour and this was apparent when the Golden Eagle swooped very low in front of me and almost knocked me off my seat, on more than one occasion it has to be said. I'm sure everyone else found it amusing, but when your eye is fixed on the bird through the viewfinder and it heads straight towards the camera, you don't get much time to think of a manoeuvre before it's almost in your face. I relied heavily on the big bird making the first move, which it did, so I escaped a good kicking! The running commentary by the handler was quite interesting, although I wasn't taking too much notice for the best part, due to concentrating my efforts on pulling in some decent shots. These birds are quite difficult to capture in flight, it has to be said. Capturing them is one thing, but accurately capturing them in sharp focus is another task entirely. As I'm still getting to grips with my Canon 100-400mm lens I expected to find it quite difficult to begin with and that was indeed the case, with a fair percentage of my shots just missing focus. One or two of my attempts efforts missed the birds completely. The more shots I took, the better I became, and this was evident in my keeper rate shooting up dramatically during the last display from the Golden Eagle. I was running on A1 SERVO AF with IS2 selected on the lens, for moving subjects. Then it was a spot of fine tuning in-camera when selecting the appropriate selection between CASE 1 and CASE 6, which is excellent for tracking moving subjects and auto focusing on subjects that immediately enter the frame. There's also options for subjects that move erratically, ignoring possible obstacles along the way. It's all good stuff and the Canon 5D3 will fight your corner all the way, as long as you 'Tell it what to do'. As mentioned earlier, if you like what you see here, then stay tuned for my next blog entry that covers more birds in flight at Planet Farnes. Not to be missed. Until then, I'll get myself away to watch the football, with a sherbet or two. Adios! 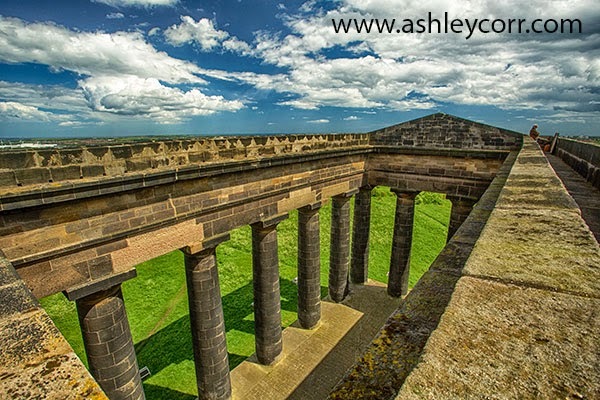 My first ever visit to the top of Penshaw Monument was well overdue. The last two Summers have presented an opportunity to climb the column steps of the Monument, but I never took advantage, for reasons unknown. Better late than never, so they say, as I paid the £5 National Trust fee to go to the top, for all of 15 minutes. As expected, the steps were very narrow and dimly lit, even with my supplied head torch. The climb was slow and seemed to last an age. Once at the top I was snapping away whilst the 15 minute timer ticked down to zero. Visibility was excellent and so was the weather. Plenty of blue sky and broken cloud - ideal. Only one side of the Monument had public access, facing South to West and in between. Great 180 degree panoramic views. With 15 minutes flying by in a whizz, I was soon making the descent to the column door, with camera tucked away inside my top to avoid a scratching on the stair walls. 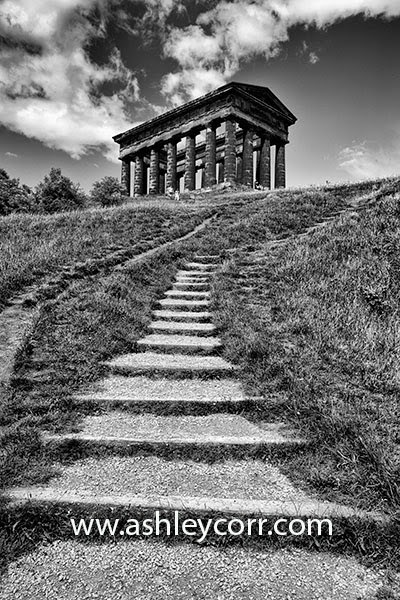 I took a few more shots next to the Monument before making my way down the hill.